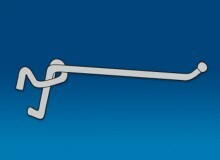 Simple, inexpensive All Wire Single Prong Hook design with ball end tip for safety. 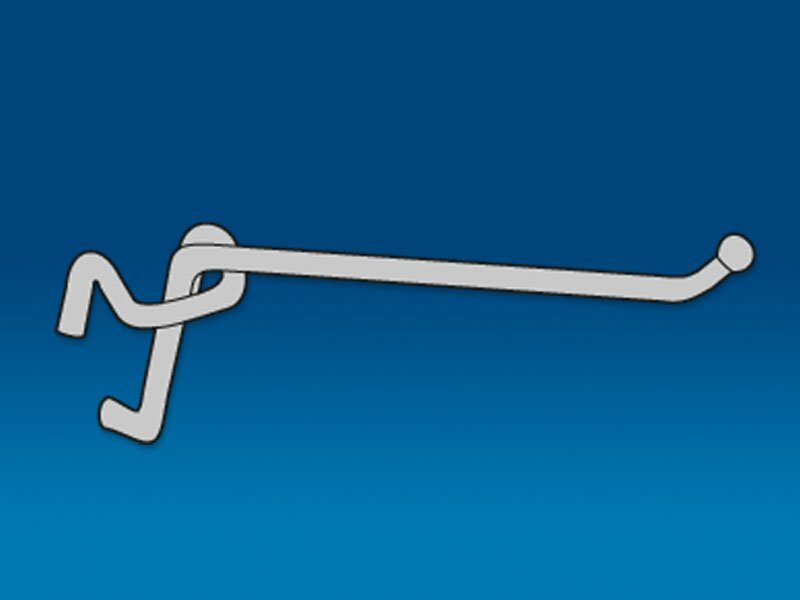 Other Cross Bar Hooks available. Recommended for use on plated crossbars only. 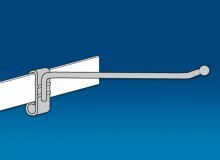 Designed for standard cross bar. This hook features an easy-attach, spring-fit back plate that holds it securely in place. Back plate measures 1″ wide. Narrow design saves space on standard cross bar. This hook features an easy-attach, spring-fit back plate that holds it securely in place. Back plate measures 1/2″ wide. Trion® fixtures are available in the Standard Colors indicated for each item. An attractive range of Common Colors is also available, sometimes at an added charge or minimum run. Color-Perm® logo indicates metal fixtures available in color epoxy powder coat.